Metallic Silver is a beautiful colour for our medieval warriors to wear as headgear. So far, TLG has given us every type of metallic headgear in this colour (flare helm, kettle helm, grill helm, great helm, pointed visor) with the exception of the classic bullet helm. Please, LEGO, bring back the bullet helm in Metallic Silver; if for no one else, do it at least for all the little plastic archers! 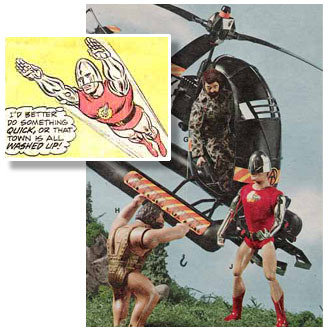 I know, the flared helm doesn't work well with the crossbow. I couldn't agree more. I'd also love it in the dark pearl grey too. This is one of my favorite helms and it would go very very well with the great helm! We haven't seen it in so long now, I wonder if the mould isn't kaputski though. IMO, they need to change it anyway. I want it with the nasal guard!! They can keep the mail on it though. I saw this post right after it was posted and didn't have time to reply then, but I did remember Trevor expressing interest in it returning with a nasal guard. Either way would be fine with me and the metallic silver and pearl dark gray are a 'must'. Hmmmm..... maybe a speckled one would be nice too. Actually, while I am at it, I'd like to see this helmet released in metallic silver and pearl dark gray. EDIT: Yea, I goofed.....I was hoping my addition wouldn't result in a hi-jacking of the thread with other helms thrown in there........Bullet Helm in Metallic Silver please. Last edited by Quickblade22 on Tue Jun 08, 2010 4:28 pm, edited 1 time in total. I'd also like to see the point visor available in metallic copper and metallic pearl dark bley as well as the KKII visor available in updated colors (I still used the dark speckled ones for my armies). I couldn't agree more. Having no bullet helms, I would definately like to see the return of the Bullet Helm in Metallic Silver as well as Dark Pearl Gray. I wouldn't mind seeing an updated version with a nasal guard either. Personally I would like to see the bullet helm in light bley. I do agree that it would look nice in pearl dark grey. architect wrote: Personally I would like to see the bullet helm in light bley. You just want everyone to be able to make an Architect Avatar. I like the color black on all my helmets. Heck, I like the black on all my figures. Although the silver might fit in with all the new lego sets. My sword cries for your blood. I am also for the metallic silver bullet helm. I miss the bullet helm terribly. How long has it been since last we've seen it? 10 years+? On a broader note, wiith the exception of the abominations that were the KKII visors, I'm for seeing just about every helmet piece in a broader variety of "metallic" colors (light and dark bley, metallic silver, pearl dark grey, etc.). Question for those in the know: Do the lego ambasssadors ever have the opportunity to offer imput on issues like this? You know, just a casual comment to the designers like: "You know, it would be really cool to see something like X"? Regardless, given the number of items in the new kingdoms line that reflect specific requests from this forum, I'm inclined to believe that someone at LEGO is actually reading our posts. True men can but try"
Maybe LEGO could include a metallic silver bullet helm in one of the Collectible Minifigs series, possibly on a knight bearing a classic faction emblem (similar to Series 2 Blacktron Cyborg)?? 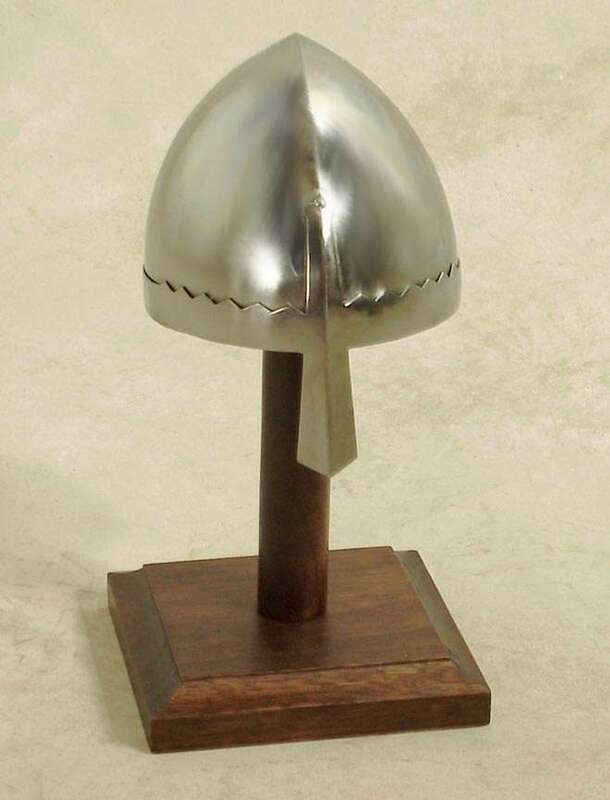 I mean, Series 4 will give us a Viking helmet in metallic silver, so there is some hope.